Rivers State University of Science and Technology, RSUST post UTME screening application form for the 2018/2019 academic session is now on sale. 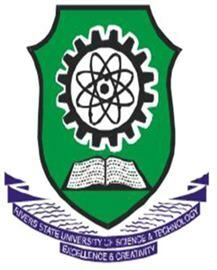 RSUST post UTME form is now available for sale online. Please i put rsu as my second choice, can i write the post utme or buy the form? Cann’t the second choice candidate apply for the post-utme? Please when will second choice start processing their form? Please in my post utme print out slip I can’t find my exam date and time. Please how can I find it. I registered to study electrical. which bank are we to buy the pin from? Is Post UTME form out for 2018 academic session, and when is it closing? I don’t know where I can do the On-line registration here in Bayelsa. Please what I do? Please, I have logged into the aforementioned website and I did not see any portal for UTME registration. And I have not gotten a message from JAMB as well. I scored 286 in JAMB though. Thank you for the info sir, but is it applicable to Direct Entry applicants?